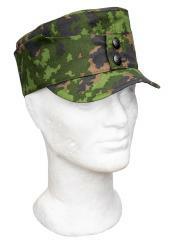 We decided to breath some new life into the traditional Finnish "blood ladle" field cap with this glorious 21st century iteration: modern polycotton ripstop fabric and Finnish M05 camouflage and solid green colour options, along with a special batch of M05 desert camouflage. The Finnish "verikauha" (= blood ladle, no one really knows where the name comes from) is as old as Finland itself. 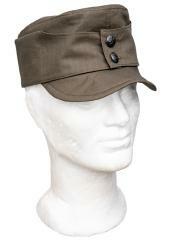 This style of caps were first widely issued in the First World War to German and Austro-Hungarian mountain troops. 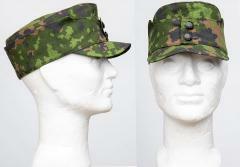 The design was brought to Finland in 1918 by Finnish Jägers returning from training in Germany. 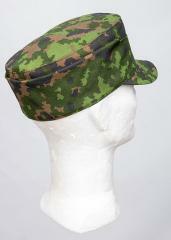 From there on it was the go-to field cap design for "White" troops during the Finnish Civil War. 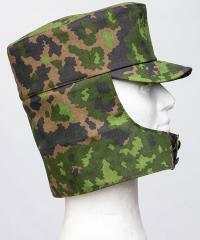 After the Civil War the "verikauha" became the official piece of headwear for Finnish troops. 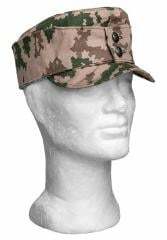 It was used through WW2 up to the 21st century with a number of different variants evolving throughout the decades. Fabric: 50/50 polycotton ripstop. 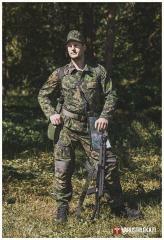 Naturally the camo print is totally NIR compliant, so you don´t need to fear looking all lit-up when viewed through NVDs. 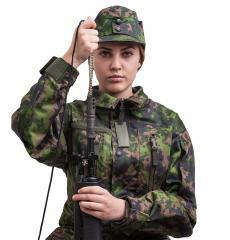 The Lion emblem buttons are Finnish made by the Defence Forces official contractor. 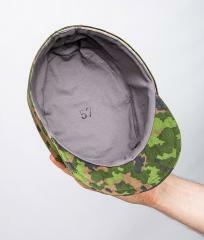 These are sized according to the wearers head circumference. 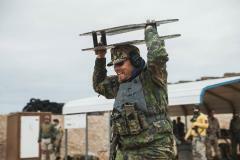 The fit is "normal," not tight, not roomy. If you want a very, very sharp look you can try downsizing one step, after a bit of wet forming you´ll have a ridiculously sharp looking piece of headwear!